Every living creature needs energy to survive. Whether that energy comes from fish or lettuce, birds or cows, we all need to consume something. But how do we know which organism consumes what? A food chain or a food web maps it out. Kids learn about food chains as a key part of a science education. By learning about food chains and webs, kids will understand the importance of preserving ecosystems. Sometimes, though, it can be difficult to “digest” the information in multiple food chains. So, supplement the information with food chain crosswords. Before jumping into specific food chains, make sure kids understand key terms for general food chains. For example, kids will need to know what kinds of animals eat other animals versus what kinds of animals eat plants. Introduce these terms, then reinforce them with food chain crosswords like the ones below. Then, don’t forget to make a distinction between food webs and food chains. A food web intertwines many food chains. After all, most creatures eat more than one kind of plant or animal. A food web will show the various possibilities. These crosswords cover information about food chains and food webs. Once your kids feel confident with these definitions, they can begin to solve specific food chain crosswords. For this activity, you’ll want to make your own crossword to focus on the food chains taught in class. 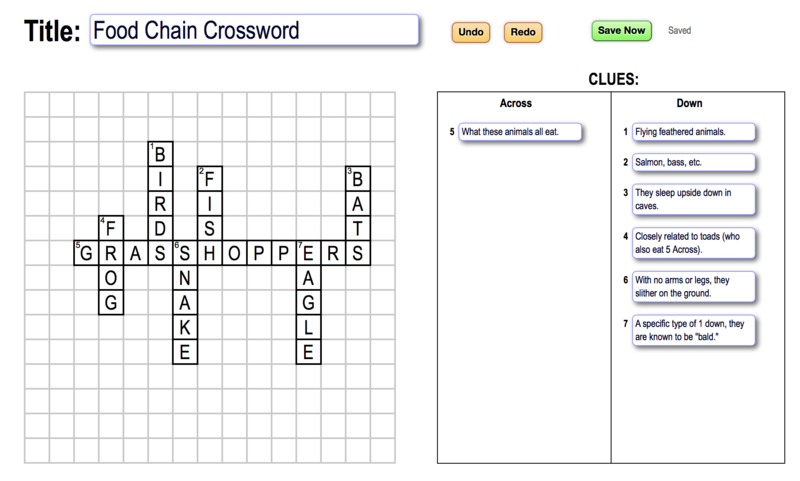 To help students fully understand food chains, make food chain crosswords that focus on specific chains. Begin by taking the lowermost creature on the food chain (or close to the lowest). Put the name of that creature in the center of the puzzle. 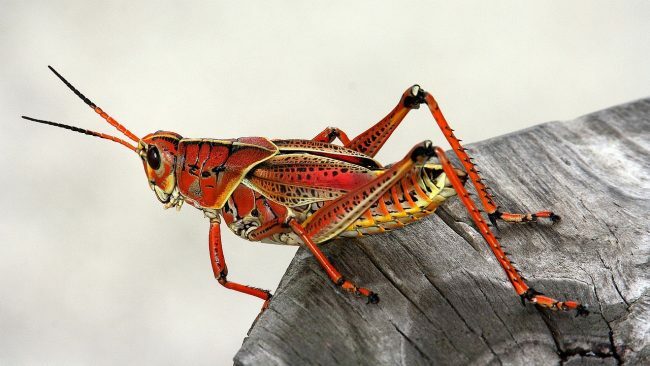 For example, say you wanted to begin a food chain with a grasshopper. (You could also start with grass, but as you’ll see, it’ll be difficult to build too many words off of a 5-letter word.) Type “GRASSHOPPER” directly into the center of the grid. Then, add the names of animals that eat grasshoppers off of the original word. This is why you’ll want to start at the bottom of the chain; you’ll have more options to work with. You could also start at the top of the food chain and list all the animals that one animal eats. Once you’ve made your crossword grid, you’ll add clues for each of the animals that will all lead to the center answer. Your crossword will look something like this. After you’ve made a few food chain crosswords, try some food web crosswords. You could simply auto-arrange the words and use the clues to draw the connections. Or, connect the animal names on the crossword grid itself. Your kids will understand food chains and webs inside and out after solving these food chain crosswords. Soon, they’ll look at animals and plants with a brand new appreciation for how everything is connected.